With the warm weather hitting us hard, I was looking for something a little more refreshing than my typical bottle of stout. 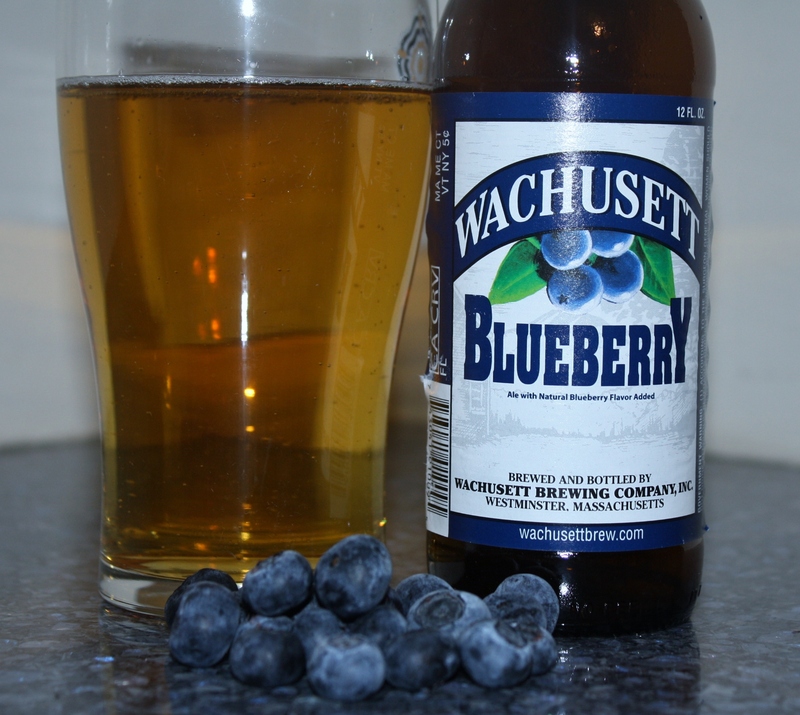 Not one to shy away from fruited beer, I picked up a bottle of Wachusett’s Blueberry Ale. I’ve had other blueberry beers (the Bar Harbor comes to mind) and some of the Samuel Smith Fruit Ales (raspberry and apricot) and some of the Leinenkugels (including the very sad, Shandy). So, I wasn’t in unfamiliar territory. I was looking for something with a decent amount of sweetness and a crisp, clean finish. Wachusett Brewing is a Massachusetts brewer that was founded in 1993 by three Worcester Polytechnic Institute graduates. They are known for a wide variety of beers including the Larry (an Imperial IPA), the Milk Stout and the Nut Brown Ale. Our Blueberry Ale defines the style. The slight aroma of blueberry is balanced by a subtle flavor that gets fermented into this delicious wheat ale. It’s the perfect, refreshing beer for any season. Appearance: Clear golden with light foam. Aroma: Sweet malt and blueberries. Taste: A little thin and little fizzy. Not as sweet as I had expected but not as much berry flavor either. This was a very average fruit ale. It was very drinkable and very light but I don’t know that I would go back for another. On the plus side, it does come in a can so if you are traveling somewhere that prohibits glass (like a pool) it might be the best of what is available. For my money, I think I’d rather try another blueberry beer or go back to the Samuel Smith Apricot or a Magners Pear. Much respect for your sense of adventure. Pity this beer sounds pretty forgettable. Also, Bravo! on your fruiting up of the shot. I approve! While I might not get any love from beertography, I am trying. “Defines the style.” Those are bold words from a brewery. About the only blueberry wheat I have enjoyed is Sweetwater Blue. It reminded me of a blueberry muffin. I had a Your My Boy Blue from Brew Bus this weekend. The color was actually blue. It was interesting. The blueberry wasn’t that prominent and it drank like a pilsner, not a wheat (which it was). You are so right. And, it seems like the bolder the statement; the more lackluster the beer. I’ll keep trying them but to date, I really haven’t found one worth giving a second look. I’ll have to keep my eye out for the Sweetwater Blue. I have had some of their lineup and have found them to be a more than respectable brewer.